Back in May I flew to New Zealand for a work summit, and I normally track the movies I watch, as there’s not much else to do on the flight. I had written blog posts on the WordPress iPhone App, but not uploaded them to the blog. So here with a four month delay is the movie report in order of enjoyment. Kung Fu Wing Chun was a fantastic Kung Fu movie. Lots of great action with ridiculous plot. Lots of cheesy humor also made this a great film. 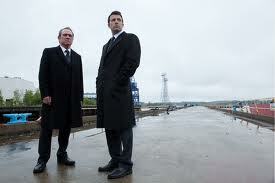 The Company Men was a great film, really enjoyed the darkness. Working for the man. I had resisted watching Minority Report due to reports of terrible VR scenes and weak plot. Not sure if it was the poor air on the plane or what ;-) but I quite liked the plot really. Yes the VR acting/hand waving was obnoxious but I liked the movie none the less. Now, this was a cheesy film. Very bright suites. Plot was a little weak. Funny to see the ring on the fathers back while they are on the mission to reclaim it. Listening to the radio on the way to the airport, there was an ad for Trojan Fire & Ice condoms with all the oh & ah noises. I came into work today and everything seemed fine, but then I couldn’t log into the email server, or the issue list, or see the code repository. All my co workers are fine, but I’m not, everybody else uses local company servers, and I use server from another company in another country. I can VPN ‘home’ and can surf the Internet, but not talk to my infrastructure. 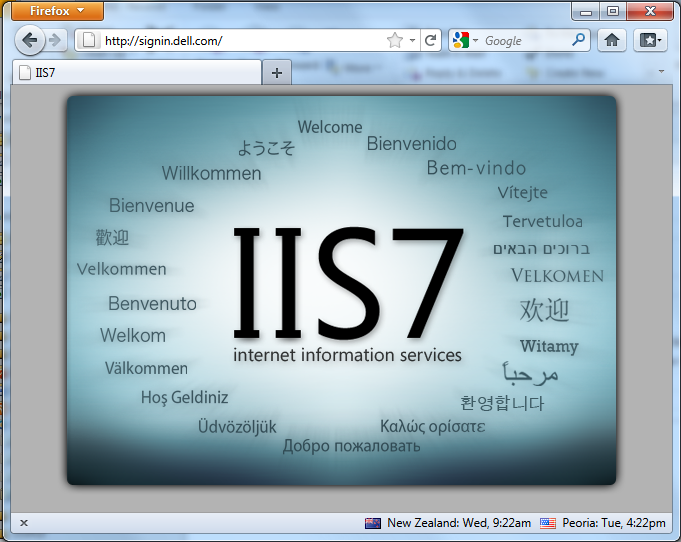 What web-server is signin.dell.com running? Since installing the Service Pack 1 for Visual Studio 2010, my .sln files for Visual Studio 2005 have not been opening. This turns out to be, because I had VS2005 set to need Admin Privileges to run, to allow some remote debugging. But I also needed to set this for the Visual Studio Launcher, as this is what chooses which Visual Studio to open the solution file. In applying the service pack, it appears the need Admin Privileges setting was lost. To test this, I found the VS2005 executable and remove the Admin Privileges requirement, and then my 2005 solutions opened. Now knowing the Launchers name/location I can set needs Admin Privileges and everything works as it was.